Nothing in life is free right?… WRONG! We wanted to reward our fans for supporting our products and fighting the good fight to end this ridiculous prohibition against the cannabis plant. We also get heaps of requests for free merchandise, so we decided to offer this freebie – no strings. Just select this product before checking out and we’ll include it with your order FREE OF CHARGE. If you just want the stickers without buying anything else from the site, then that’s cool too – just select these beauties and pay the standard 5 Euros postage fee. 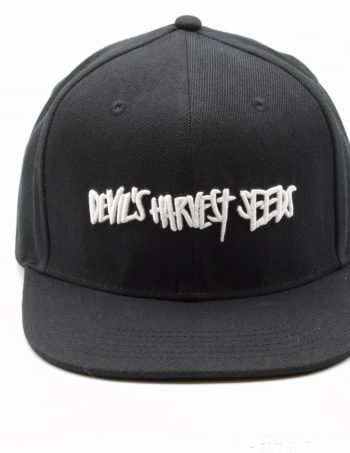 This offer is LIMITED to one pack of 10 Devil’s Harvest Seeds stickers per order. Normally you will receive 10 circular (LOGO) stickers. We also randomly include the occasional limited edition graffiti-style sticker designed by our resident artist and wildly talented buddy – Skatin Chinchilla. 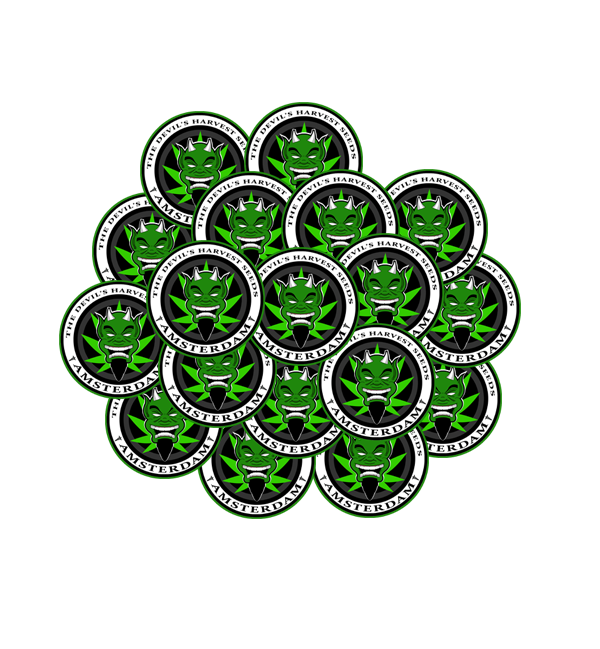 This 2nd sticker is a super-dope collage of all our favourite strains and is definitely a collector’s edition. All that we ask in return for this freebie is that you send us a cool pic (or 2) of the stickers once you have put them up – LEGALLY OF COURSE! 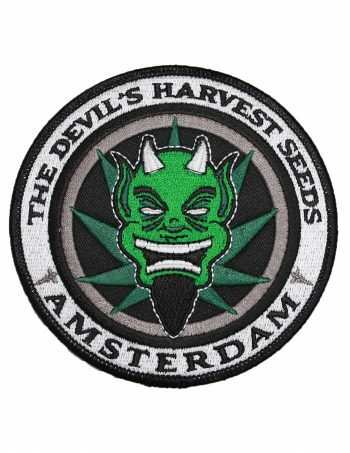 We often run competitions to see where our stickers have got to, with prizes for originality and endeavour, with prizes such as free cannabis seeds for the most original placement so get stickering..